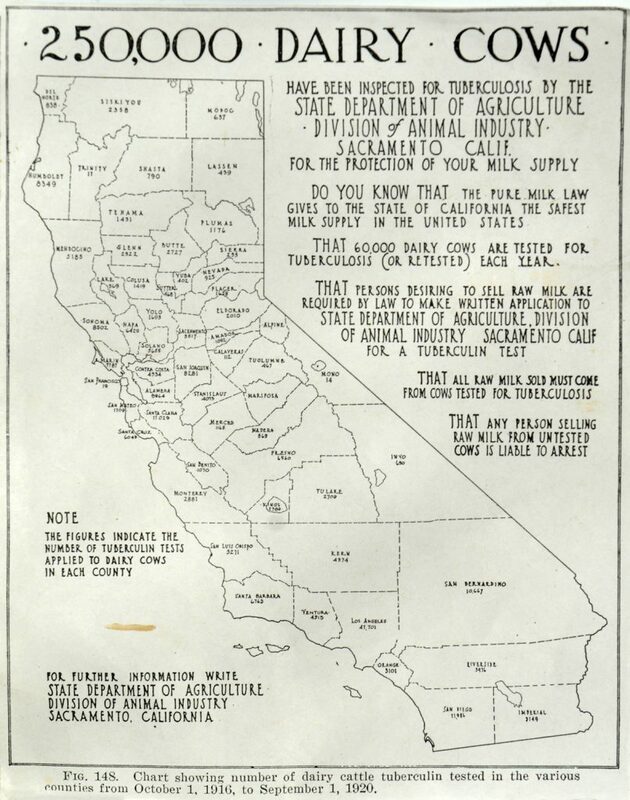 The California Department of Food and Agriculture is celebrating its 100th anniversary as a state agency in 2019. Throughout the year this blog will feature a number of items to commemorate this milestone. This post is about Bovine Tuberculosis, a disease that has been eliminated in California. Due to the hard work of farmers, ranchers, and veterinarians at CDFA and in private practice, the state’s cattle have been tuberculosis-free since August 2016. But here’s how it looked way back in 1920. NOTE – With the widespread pasteurization of milk in the 20th Century, the risk of bovine tuberculosis to human health was greatly reduced.